TotalPond’s 70 GPH Fountain Pump is ideal for tabletop fountains and pumps between 40-75 gallons an hour. The fountain height of this pump can be adjusted with our easy to use flow control up to a maximum height of 2.5 ft. and an ideal pumping height of 1.5 ft. Available at The Home Depot. 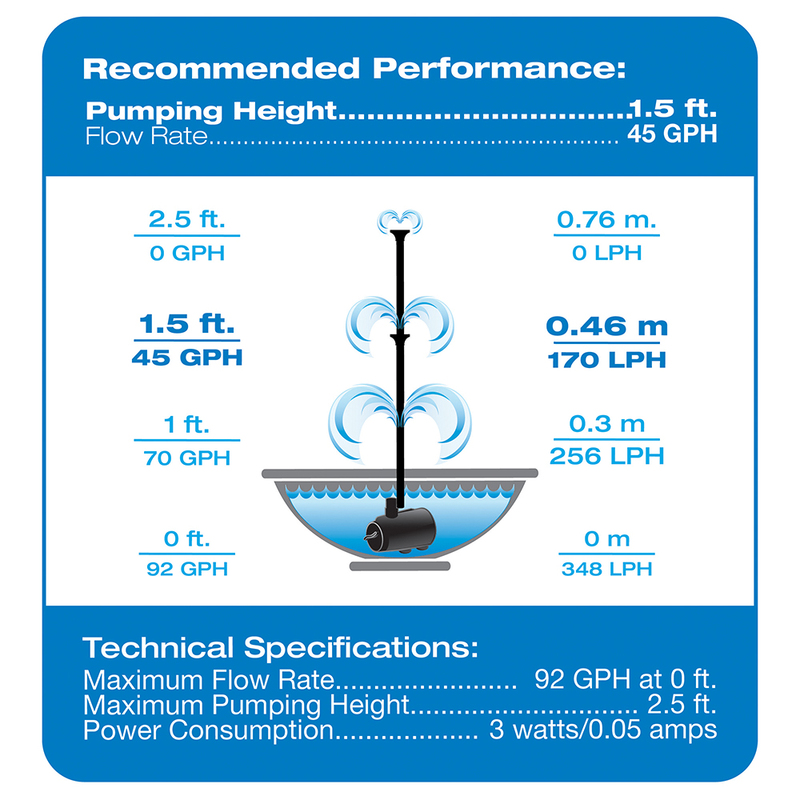 TotalPond’s 70 GPH Fountain Pump is innovative, quiet and energy smart. This small pump is ideal for very small fountains and can achieve a pumping capacity of 65 gallons an hour. With this pump you can adjust the fountain height with our easy to use flow control up to a maximum height of 2.5 ft. and an ideal pumping height of 1.5 ft. The 70 GPH Fountain Pump is ideal for use in small fountains. With a maximum pumping height of 2.5 ft., this energy-efficient pump helps power fountains with an ideal pumping height of 1.5 ft.